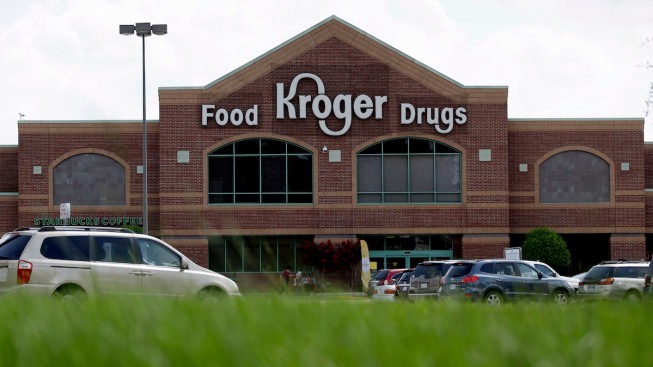 In this file photo, A Kroger store is shown Tuesday, June 17, 2014, in Houston. An 11-year-old girl who was suspected of stealing food from a Cincinnati supermarket was hit by police with a Taser Monday night, NBC News reports. The girl, who was suspected of stealing items from a Kroger store, was shot with the stun gun after she ignored an officer and started to walk away, Cincinnati police said in a statement. Department procedure says that officers should avoid using Tasers on children under the age of 7 or on people over the age of 70. The officer who tased the girl tried to turn on his body camera but it did not go on immediately, only providing footage from after the incident, according to NBC affiliate WLWT.